We depend on people like you Do you have a few hours each week? Maybe a few days each week? Then you can help bring the rejuvenation of wish experiences to kids with critical illness. 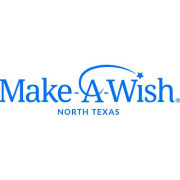 You can join a network of more than 1,000 caring people, across the 161-counties this chapter serves in Texas, who make it possible for Make-A-Wish (r) kids to live their one true wish. Wish Granter Role - Wish granters work with families over the course of 9-12 months volunteering about an hour a month per wish child. Wish granters are trained individuals who meet with our children to determine their wish. These volunteers work closely with the Make-A-Wish staff to make each wish come true. Most wish granters meet with their families in the evenings or on the weekends. Wishes can be granted in just several days, or may take up to a year to complete. A specialized training program is provided before contact is made with a wish family. We are currently looking for wish granters who are fluent in both English and Spanish. We serve a large percentage of Spanish speaking with families, and with out Spanish speaking wish granters, we are not able to to quickly meet the needs of those Spanish speaking families. If you are fluent in both English and Spanish, please consider becoming a wish granter.